The National Institute for Standards and Technology, which produced the official report of the collapse of the World Trade Center towers on Sept. 11, 2001, was unable to explain the collapse of WTC-7. They have contracted out an explanation for the collapse of the 47-story skyscraper with the stipulation that only the behavior of floors 8-46 be considered. NIST, as with their pre-collapse report on the towers, has again failed to satisfy a fundamental requirement of scientific reasoning — the requirement of total evidence. This requirement states scientific reasoning must be based upon all the relevant evidence. Clearly the behavior of every floor is relevant to the investigation, and therefore the upcoming report should be dismissed out of hand. I have such cool dentists. After having a cavity filled, I stopped by the office and they brought this video to my attention. Since I spend much of my day thinking about other (non-911-related) things, I tend to be oblivious to breaking news. Does Ketchup Boy even know the implications of what he said? (A conspiratorial mindset would opine that he damn well knew.) And why weren't these truth-seeking interlopers whisked out of the bookstore and shot? Chances are, since Kerry would love to throw the '08 selection as well, he will apologize briefly and say he misspoke. GREAT ARTICLE (ABOUT US) IN THE LIFE & TIMES OF UTICA!! Many thanks to Matt Moran for giving us some great ink in this week's edition! UTICA - Herb Smith and Andy Senior believe that the official story of the 9/11 disaster is a hoax. To help convince others of their belief, the two formed Uticans for 9/11 Truth in February 2006. The group will be giving a presentation entitled "The Impossible vs. the Improbable," at the Kirkland Art Center in Clinton, at 8 p.m. on Thursday, April 19. "In a nutshell - our main aim is to show that the official story is impossible as presented by NIST (National Institute of Standards and Technology) and the 9/11 Commission," said Andy Senior. "It's not credible - basically what they're saying is impossible." Senior and Smith have focused on scientific research and the applied laws of physics in making their arguments. "Basically once we give people this information they can do what they want with it," said Senior. "We're dealing with Newton here." Herb Smith said that his analysis has led him to reject the mainstream media along with the assumed explanation for 9/11. "The only possible explanation is pre-positioned explosives," said Smith. Although the contrary stance of Uticans for 9/11 Truth has surely generated controversy, Senior said that their presentation was friendly. "That's fun when you get skeptics - it's sort of interesting to show people who have doubt about what you're doing," said Senior. "It's always very friendly - but it's nice to have people with a different point of view." Smith and Senior have appeared as regular guests on "From the Grassy Knoll," a Florida based internet radio show. They have also appeared on WCHL, as guests on Pete Bianco's Hamilton College radio show. For more information visit http://uticansfor911truth.blogspot.com. UTICANS AT KIRKLAND ART CENTER APRIL 19!! The Uticans for 9/11 Truth will be giving a presentation, "9/11: The IMPOSSIBLE vs. the IMPROBABLE," at the Kirkland Art Center, 9 1/2 East Park Row, Clinton, NY at 8 PM on Thursday, April 19, 2007. In this presentation, we discuss objections to the improbable ("Somebody would have talked," "Our government wouldn't murder its own citizens," "The news media would have found out and reported it," etc.) as opposed to the impossible (jet fuel fires alone cannot account for the collapse of the buildings). And, as Sir Arthur Conan-Doyle wrote, "Whenever you have eliminated the impossible, whatever remains, however improbable, must be true." Here's a very short (and poignant) video by Angie Riedel of pbsblog. 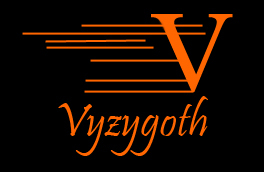 Today I appeared on a special "garage sale" edition of VYZYGOTH'S "FROM THE GRASSY KNOLL", "Taking Out the Trash," in the course of which we salvage the recent Jim Fetzer/Fintan Dunne material and compost the overblown, gassy midden known as Dave Emory. Download it HERE. The video we discuss in the first half of the program is posted below.